Today we are super excited to feature award-winning author Bruce Hale! 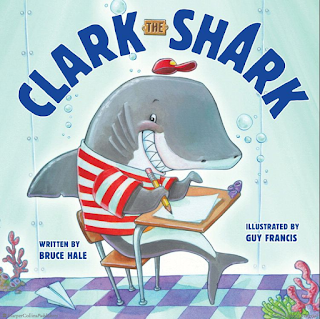 Bruce Hale has authored or illustrated over 40 books for young readers, including the very popular CLARK THE SHARK books. Be sure to enter to win a coy of CLARK THE SHARK, illustrated by Guy Francis (Harper Collins 2013)! Before finding my way into children's literature, I was a cartoonist, a gardener, a DJ, and a corporate lackey. Although I had wanted to write children's books when I was in about fourth grade, I had largely forgotten about that idea until a friend and I started a toy company in Hawaii. When we came up with a Hawaiian gecko toy, I decided to write a companion book for it. We self-published it, it did well, and that was my start. What projects are you working on now? Anymore CLARK THE SHARK books? No, there's only one more Clark the Shark book in the pipeline. (TOO MANY TREATS, which comes out next year.) Now I am working on a new series called Class Pets, about all the trouble classroom pets get into when humans aren't around. That's coming out next year from Scholastic. When is your next project due out? Can you tell us a little about it? My next book, the third in the Monstertown Mysteries series, comes out on Halloween. INVASION OF THE SCORP-LIONS is about best friends Carlos and Benny trying to deal with an infestation of these mutant creatures in their school. The boys discover there's something sinister going on in their town, and they have to fight to prevent a mad scientist from turning their town into a twisted science experiment. I wrestle with the idea for anywhere from a month to 50 years (in the case of Monstertown). Once I figure out the best form for it, I spend time brainstorming the plot. Then I'll dive in and write a super messy first draft. That's followed by multiple revisions until I feel like I've gotten the story down the way I wanted to tell it. P.S. : my writing process relies heavily on periodic infusions of chocolate chip cookies. Be persistent. Persistence is more important than talent, and so many people give up before they've managed to make their writing good enough so that their stories are sellable. 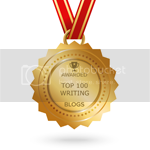 Writing is a game that requires much patience and much belief in yourself. I'll give you two for no extra cost. First, I am the only non-meat eating rancher that I know of. My family has a small hobby ranch in the foothills of the Sierras (my dad's idea), and, being a fish-atarian, I've never eaten any of the beef we raise. Second, I sing with a Latin jazz band called Mezcal Martini in Santa Barbara. I also play a mean pair of maracas. My website is: www.brucehale.com; on Instagram, I am mrbrucehale; and on Twitter I am @storyguy1. Raised by wolves just outside Los Angeles, Bruce Hale began his writing career while living in Tokyo, and continued it after moving to Hawaii. He’s too modest to mention his Nobel Peace Prize and his Olympic Gold Medal (in long-distance procrastination) so we won’t mention them. Before entering the world of children’s books, Bruce worked as a magazine editor, toymaker, gardener, actor, corporate lackey, and DJ. From picture books to novels and graphic novels, Bruce has written and/or illustrated over 40 books for kids. His popular series include the award-winning Chet Gecko Mysteries, School For S.P.I.E.S., and Clark the Shark, among others. These days, Bruce lives in Santa Barbara with his wife, his sweet mutt, Riley, and his massive collection of hats. When he’s not at the computer or drawing board, you can find him hiking, kickboxing, watching movies, or bicycling. Bruce also sings with a Latin jazz band called Mezcal Martini. Your sense of humor is infectious Bruce! The wolves raised you well. 'Tis no wonder you're one of the favorite authors for children. :) Glad you gave up being a corporate lackey! "Persistence and belief in yourself"- good stuff! Thanks for the delightful interview. Clark the Shark is one of my daughter's favorites. Great advice...keep improving your writing and be persistent! Be persistent--gotta remember that! Good interview, thanks. I somehow haven't read Clark the Shark. That will be remedied today. 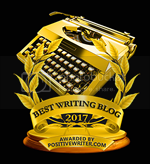 Thanks for sharing your writing process with us. I enjoyed the humor you interjected and know you put this into your writing. Your books sound fun to read. Looks like a fun book! I like the friendly, sunny shark smiles! Love the advice you offer.